East Africa is world-famous for its wildlife. 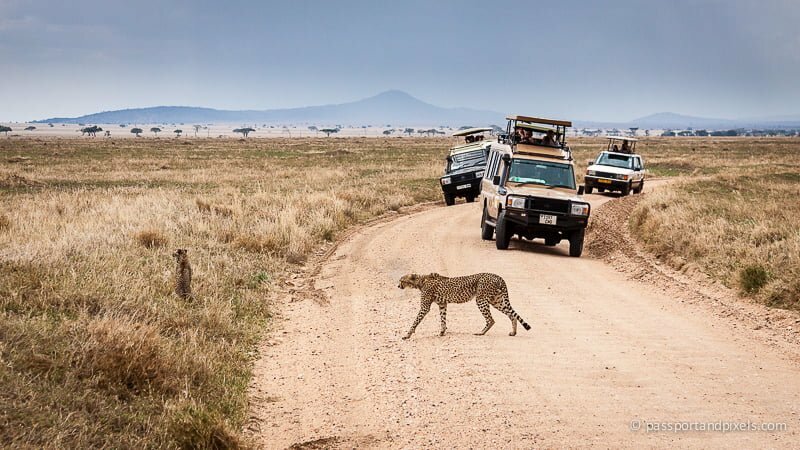 Think of Kenya or Tanzania, and what immediately springs to mind are romantic images of herds of wildebeest traversing the Serengeti, or a lioness stalking a zebra through the long grass of the Maasai Mara. 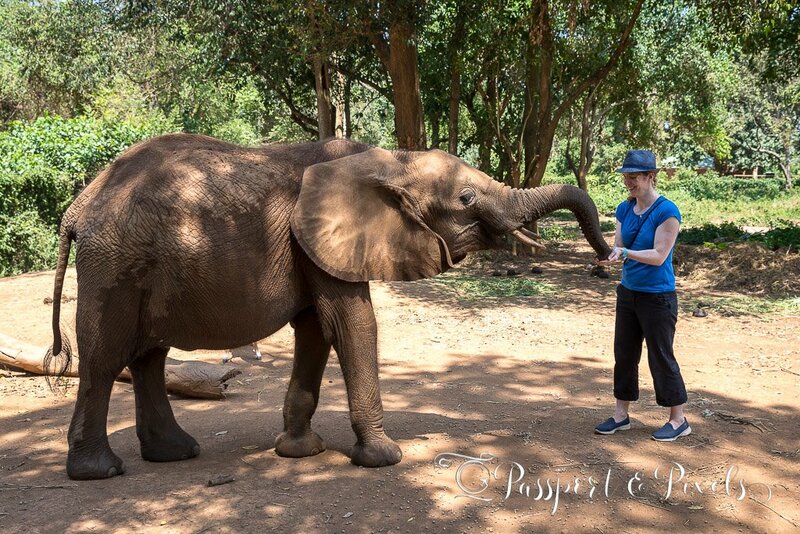 It’s with very good reason that safaris are by far the region’s number one tourist activity. On safari in Tanzania. Read about what it was like here. 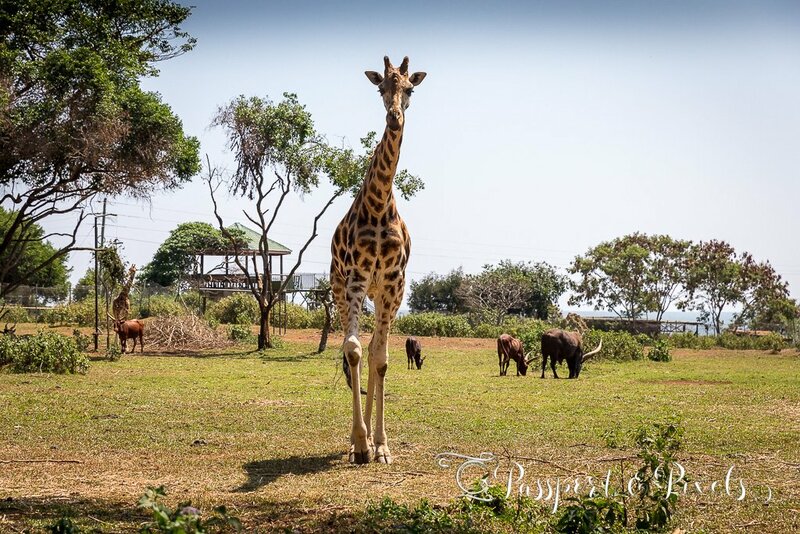 So it might seem a little underwhelming to come all the way to Uganda and go to the zoo. Why would you want to look at animals in cages when you can see them roaming free in the National Parks? I wasn’t sure myself. But, just two weeks into my four-month stay, I was invited to take a weekend trip to Entebbe, just an hour away from Kampala. 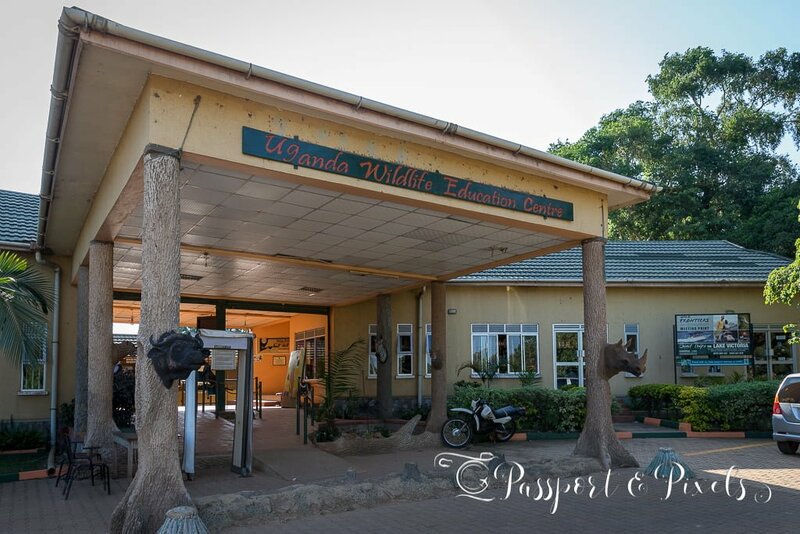 And once there, it seemed only sensible to visit the city’s most popular attraction: the Uganda Wildlife Education Centre, also known as Entebbe Zoo. Before I tell you about the day, let me first of all point out that I’m not really a fan of zoos, especially not poorly-funded or badly-maintained ones. 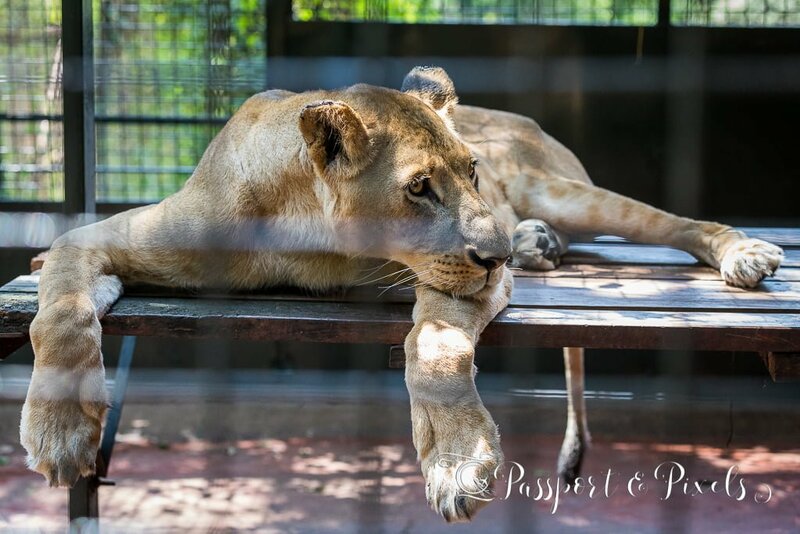 While there are plenty of world-class institutions that do great work for conservation and education, and have large, sensitively-designed enclosures, I’ve seen a few too many miserable and mangy-looking animals lounging dejectedly in concrete cages to be completely comfortable with the idea. 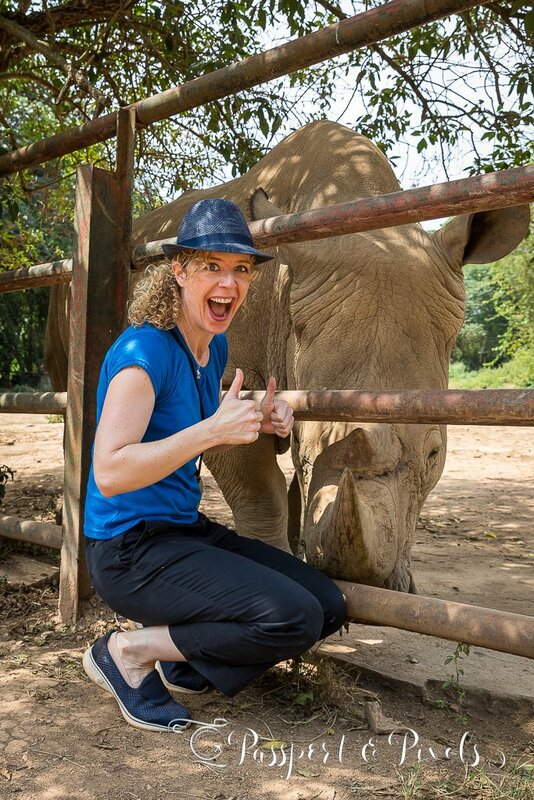 I’m also strongly opposed to any tourist activities that look like they might be exploiting animals for the sake of a selfie. 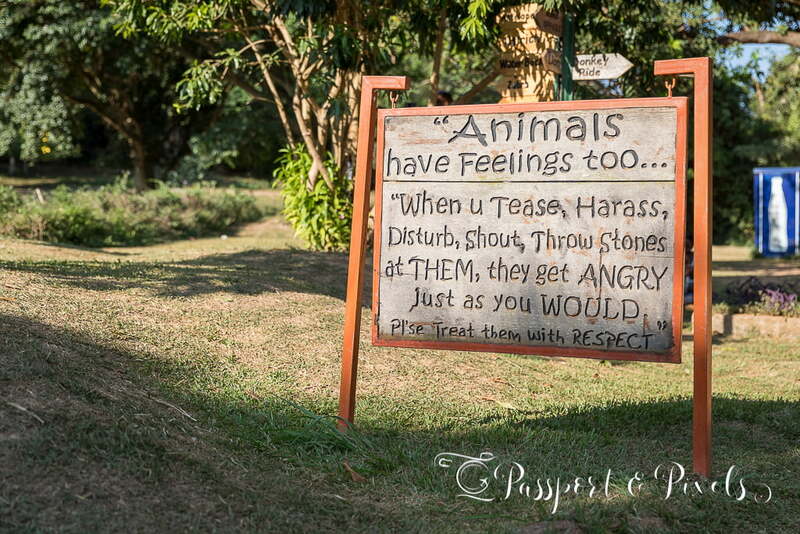 Drugged tigers, caged bears, and abused elephants wheeled out to amuse holidaymakers are definitely a no-go. 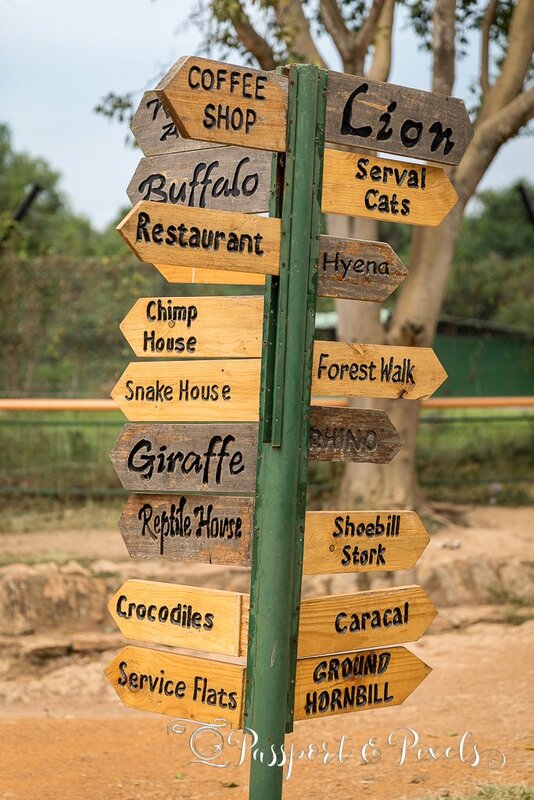 So when I heard about the Zoo, my first priority was to do a bit of reading to make sure it was the sort of establishment that I should be supporting. I was soon encouraged by the fact that the Centre is recommended by Lonely Planet. Having worked there I know the team is very hot on animal welfare, and would never recommend any activity with questionable credentials. 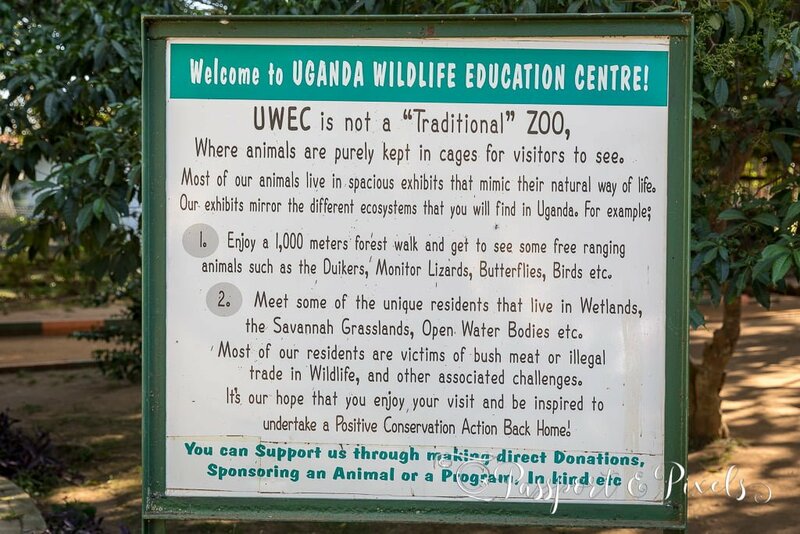 So I found the fact that they describe it as ‘a world-class animal refuge that has benefited from international assistance in recent years’ very reassuring indeed. So my friend and I hopped in a taxi and headed on over to see what all the fuss was about. Standard entry is just $15 for a foreign non-resident, but we were strongly advised that it was worth paying the full $70 for the ‘Behind the Scenes’ tour. And let me tell you, it’s definitely the second best piece of advice I’ve been given this year (the first being ‘Go To Uganda!’). 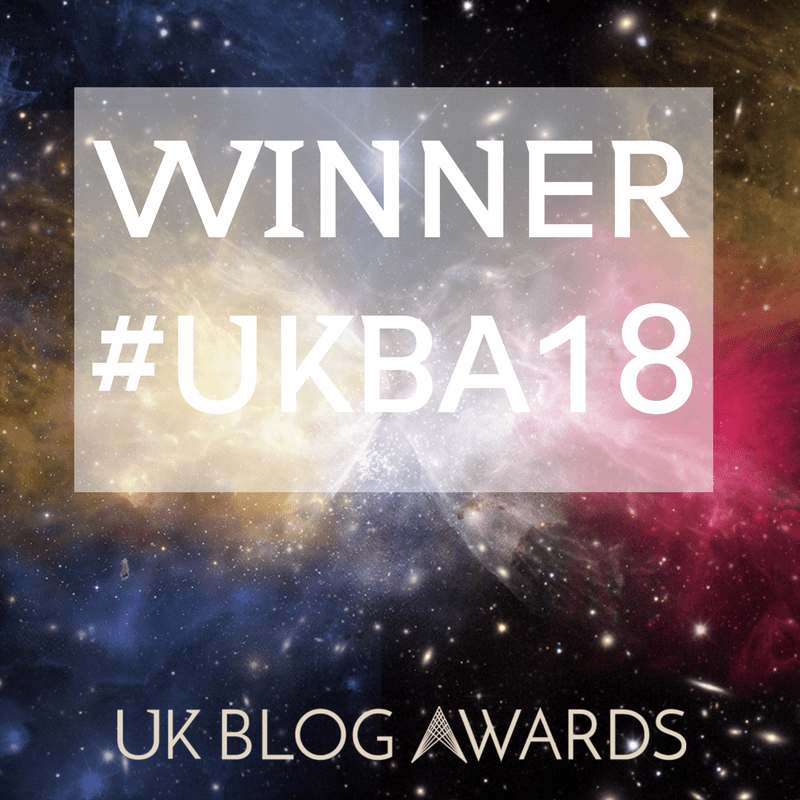 I cannot recommend it highly enough – and if you carry on reading, you’ll soon see why. Having paid our money, we were introduced to our guide, Joseph, a young Ugandan who studied conservation before coming to work here. 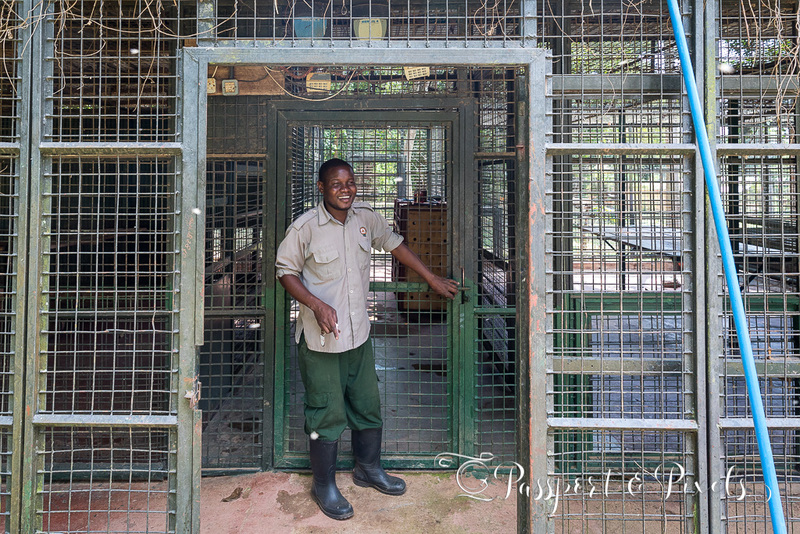 Joseph explained to us that although it operates as a zoo, the centre’s main focus is rescuing, caring for, and rehabilitating animals rescued from poachers or trafficking. Many of the animals we saw were intercepted during smuggling attempts, saved from certain death, or found being kept illegally as pets in people’s homes. 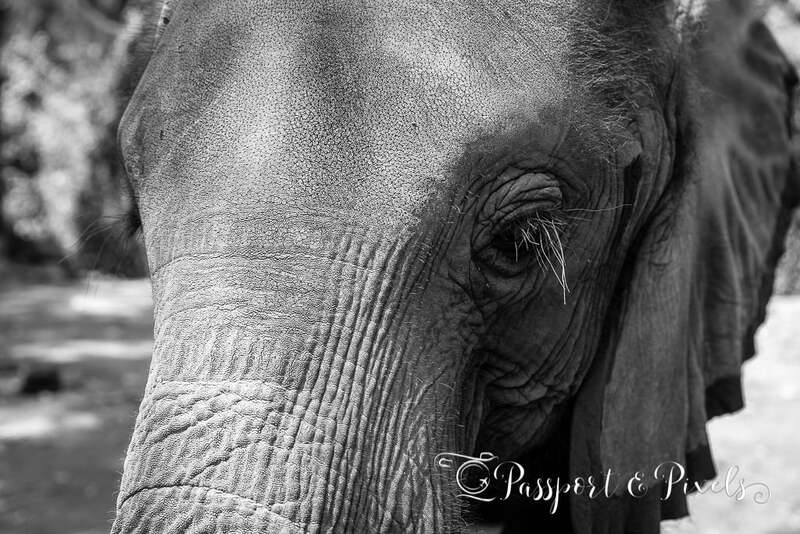 When found, they are brought here to be cared for, and where possible, many are returned to the wild when the time is right. I didn’t really know what to expect from ‘Behind the Scenes’, but it turns out it should really be called an ‘Access All Areas’ tour. 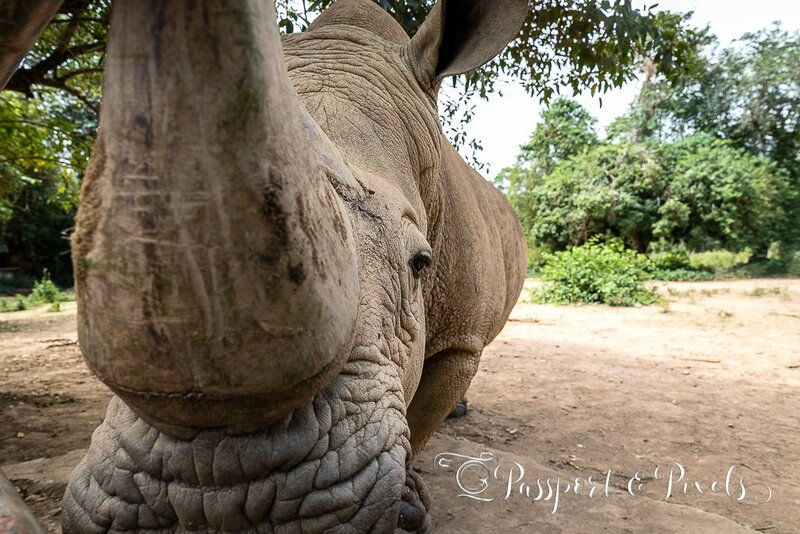 With Joseph leading the way, we were taken beyond the paths, past the signs saying ‘Staff Only’ and ‘No Entry’, and right into the animal enclosures, nose-to-nose with the animals themselves. And here are just some of the amazing creatures I was lucky enough to get acquainted with. This is Kabira (female) on the left and Sherino (male) on the right. 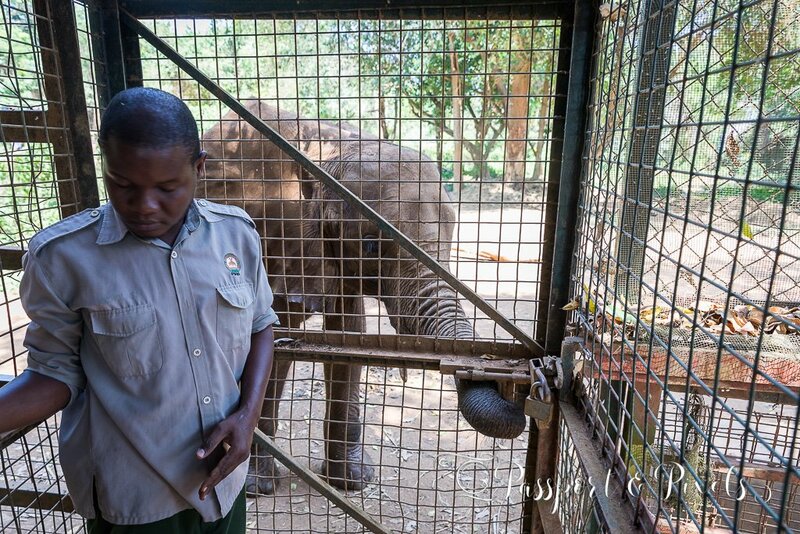 Both were born in captivity though Sherino, who is 23, is originally from Kenya. 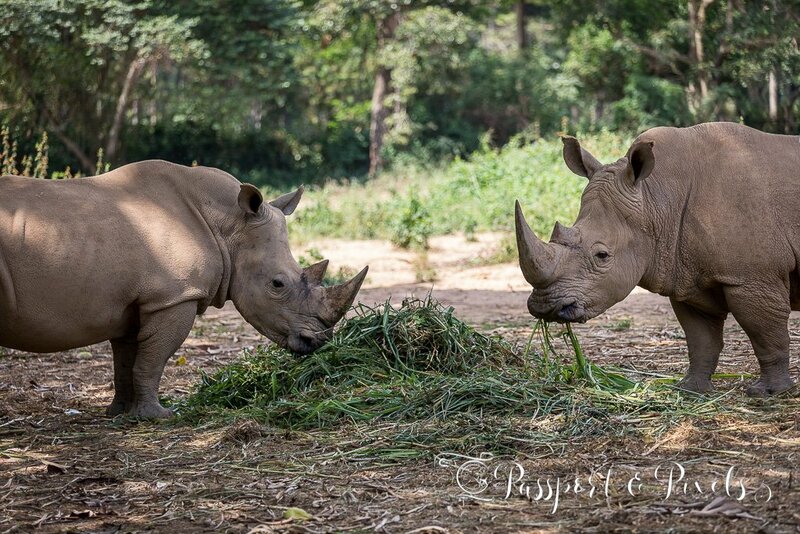 Now they live peacefully together in a large enclosure that mimics their natural African habitat. I would have been quite happy just watching them from the side with all the other day-trippers, but imagine my delight when Joseph took us through a side gate and called Sherino over to talk to us. Though maybe you don’t need to imagine it, since it’s written all over my face! 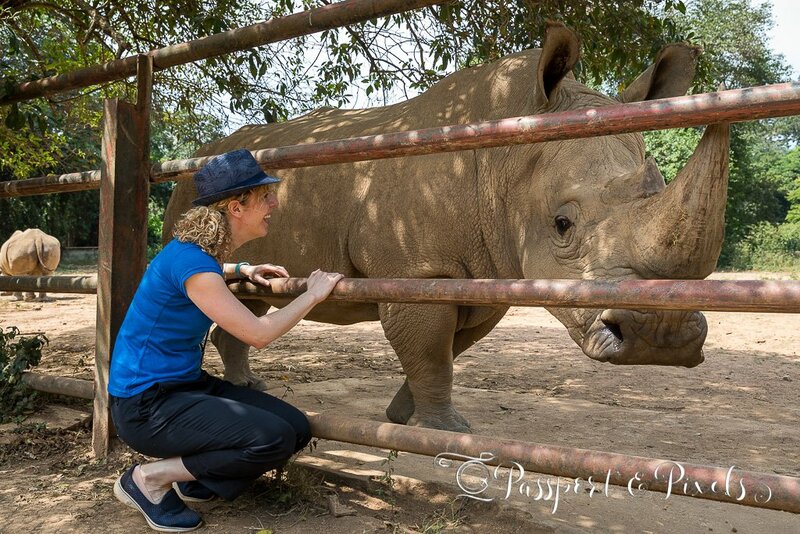 Obviously I’ve never been anywhere near this close to a rhino before, and it was the most incredible experience. I could happily have spent the entire day there just feeding and stroking him – just this one encounter alone was worth the full price of the tour all by itself. But there was more to see, so on we went. Joseph took us through another locked gate, and then suddenly we were face-to-face with this beautiful lady. 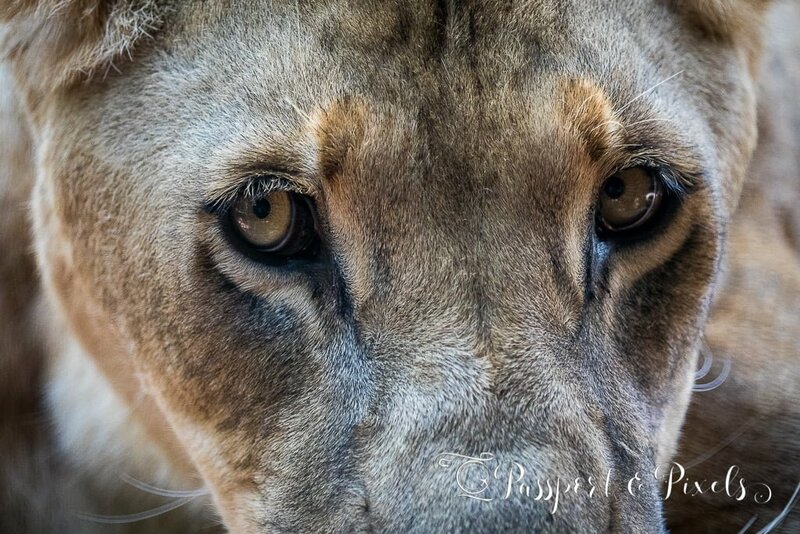 Mutagama the lioness came from Paradise Wildlife Park in UK as part of a programme to send lions back to Africa. And she wasn’t alone in the enclosure. Living with her are her three adorable cubs. Naturally I was concerned by the fact that she and the cubs appear to be being kept indoors, and not free to roam as they should be. 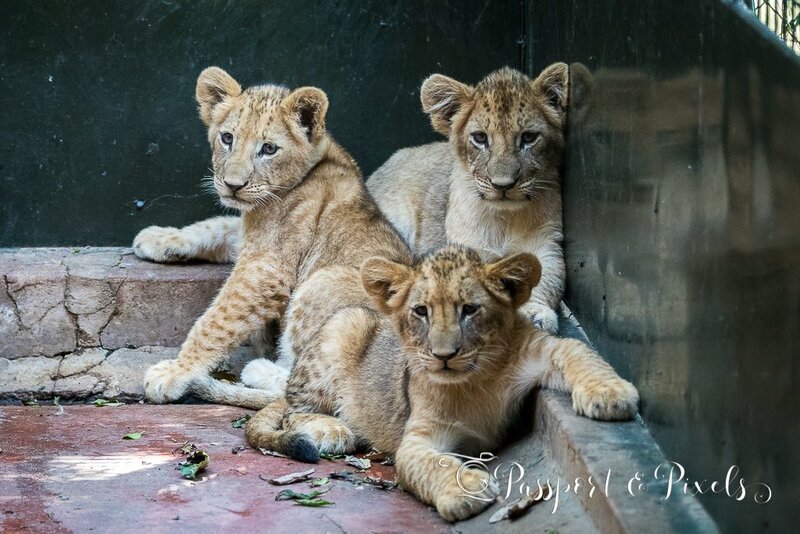 But Joseph explained that the family is only being kept apart from the other lions temporarily, to protect the cubs from being eaten by the alpha male. Obviously we weren’t allowed to go inside the lion enclosure, but I was more than happy to admire the beautiful family from behind the sturdy fence. No such fears with the next (and, in my view, star) attraction! 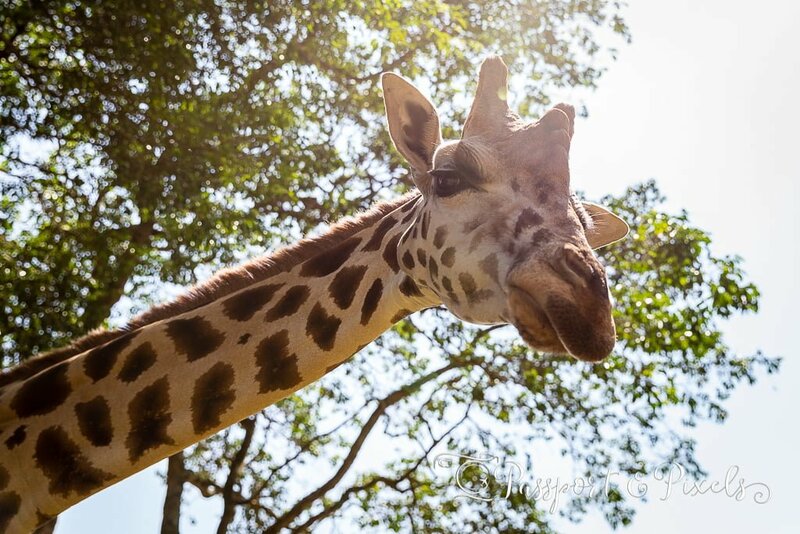 The centre has three Rothschilds Giraffes. 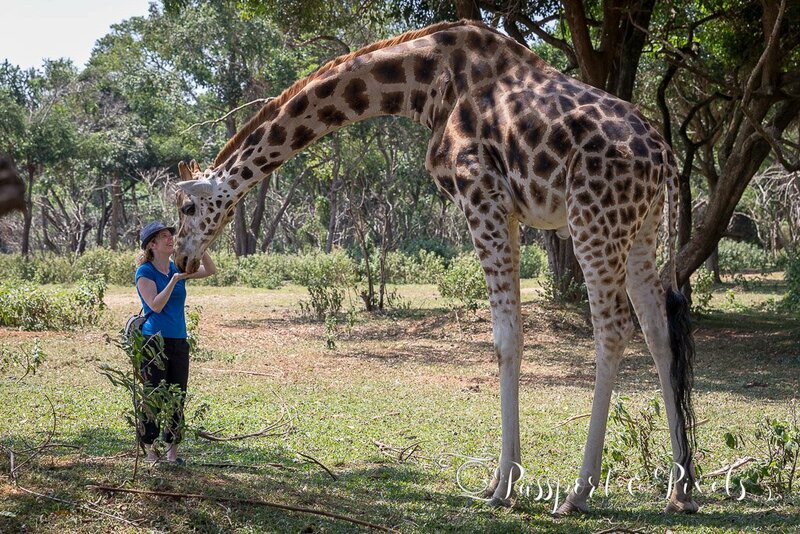 As part of their conservation work, teams from the UWEC are called upon to help when a giraffe needs moving from one place to another. 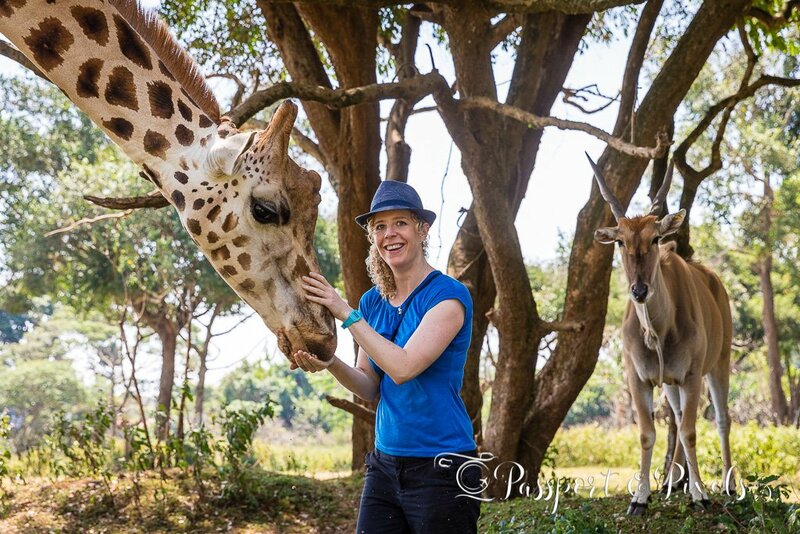 They did some work with the giraffes at Murchison National Park in North Uganda, and as a thank you they were given three animals to look after and keep for education purposes. This one is called Albert. I adore giraffes. I just think they are so incredibly elegant and beautiful, with their stunning patterns and their huge dark eyes with those impossibly long eyelashes. Being able to feed one by hand was absolutely the highlight of my year. But getting photobombed by an eland is possibly a close second! I wanted to spend longer with Albert, but we were quickly ushered out when he started to get a little restless. Although these animals are habituated to humans, they’re still wild and extremely strong, and Joseph wasn’t about to take any chances. Charlie was rescued from drowning by a fisherman when she was just two weeks old and brought to the centre. The fisherman’s name was Charles, so in his honour they named the new baby girl after him. Charlie is extremely bright. She’s learned how to undo the bolt on the gate into her enclosure – so it’s just as well they now keep it locked with a sturdy padlock! But Charlie is not the Centre’s only elephant. This is 1-year-old baby Edward. 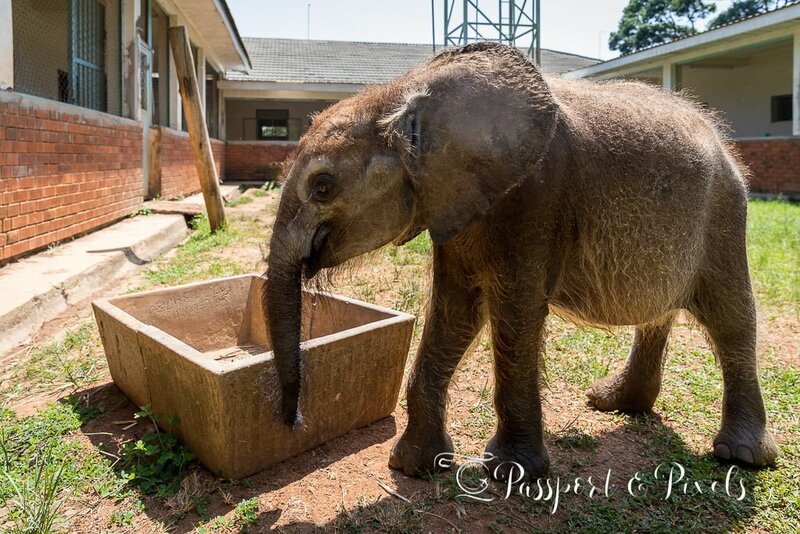 He was rescued and brought to the Uganda Wildlife Education Centre after he was found stuck in mud aged just 5 days old. 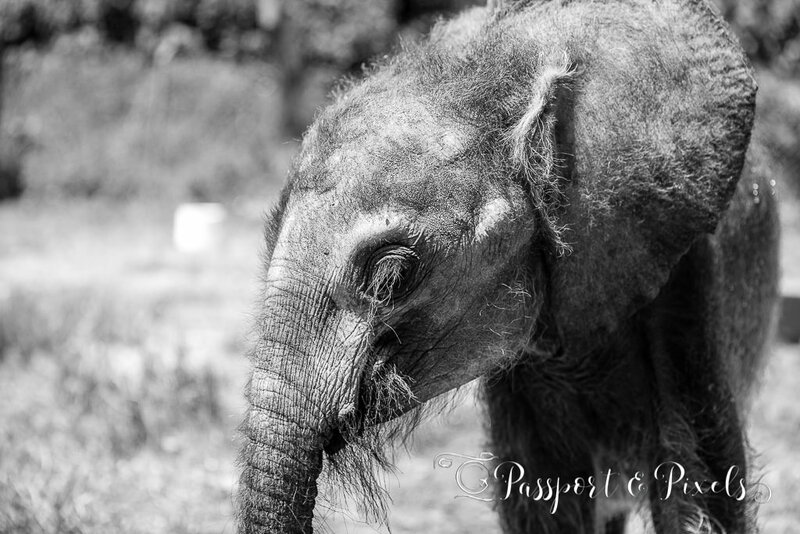 The rest of the herd had given up and abandoned him and although rangers tried to find them, they had moved on. So Edward was brought here to his new home. Edward is a forest elephant, which is why he looks rather hairy. Edward was delighted to see us. Elephants are very social animals and he’s very lonely living here all by himself. But baby elephants are fragile and susceptible to all sorts of diseases, so he’s being kept in quarantine until he’s bigger and stronger. When he’s older, he’ll be introduced to Charlie and hopefully they’ll be able to keep each other company. My heart broke just a little when he followed us all the way to the gate as we were leaving. If I could have fitted him in the car I would definitely have taken him home! 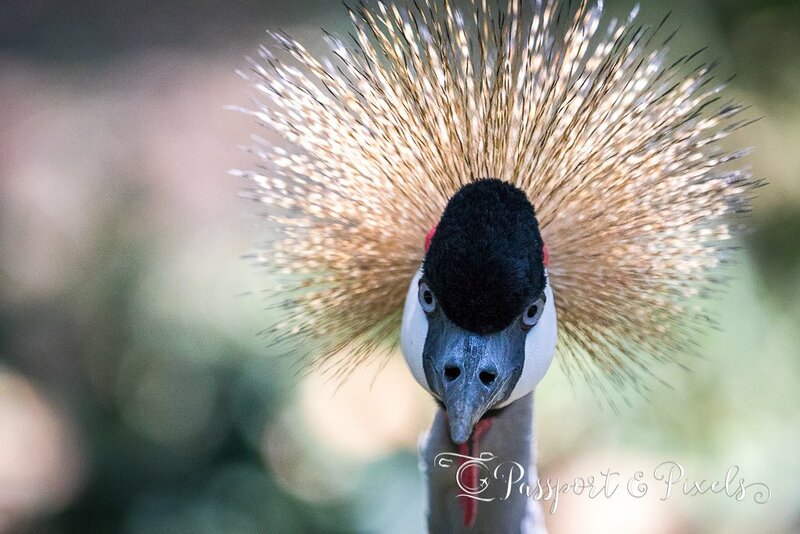 The crested crane, or grey crowned crane is the national bird of Uganda and appears on the country’s flag. I can see why the Ugandans decided to adopt this one as their national bird. With his striking red and black face and his incredible hair, he really is handsome! 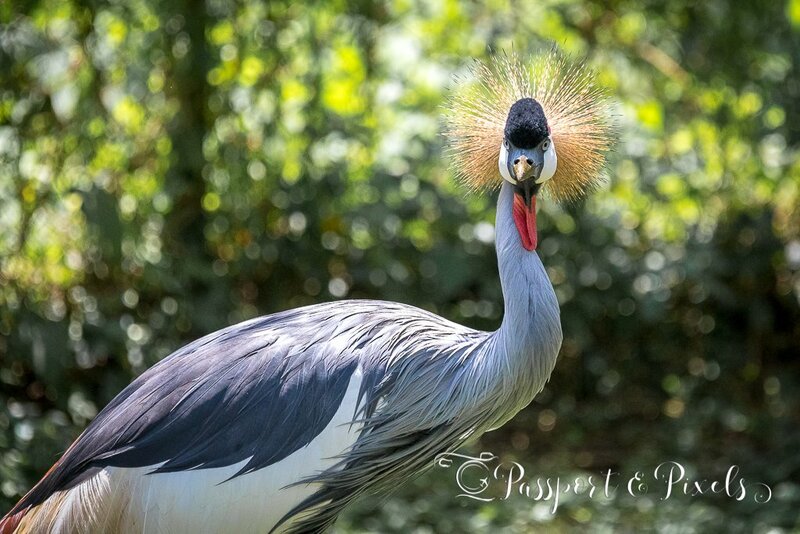 But sadly crested cranes are listed as endangered due to habitat destruction, overgrazing, and pesticide pollution. 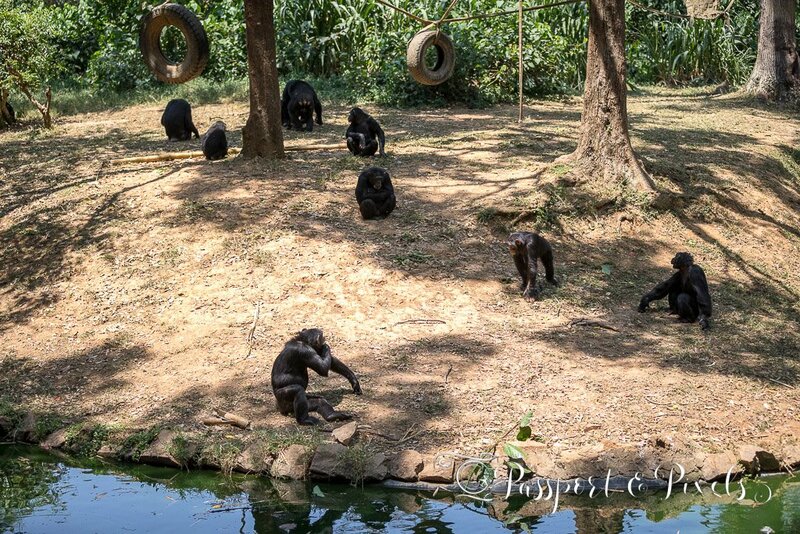 Most of the chimps here have been rescued from the bushmeat trade or the illegal pet trade. Every year authorities find 1-2 chimps in people’s luggage at the airport as they attempt to smuggle them out of the country. One was even found crammed into a briefcase! This is 54-year-old Zakayo. 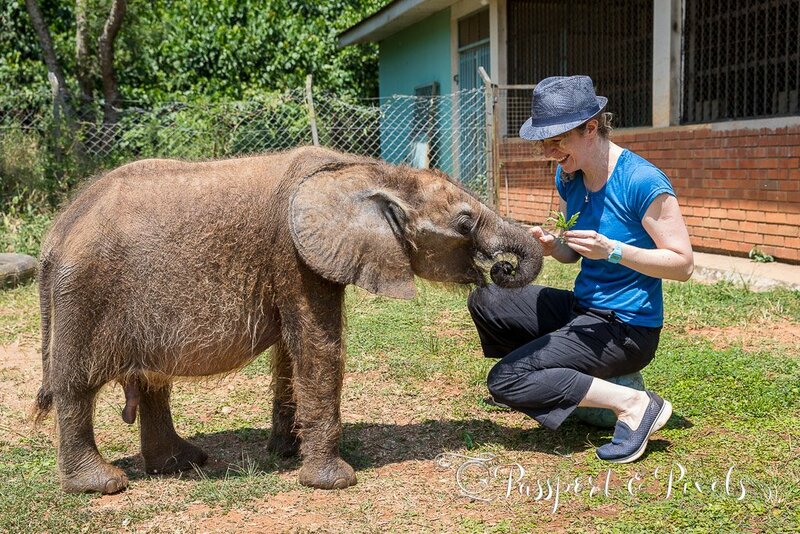 He was found being kept as a pet in a home in Uganda. When he arrived he was addicted to cigarettes and alcohol as his owners had taught him how to smoke and drink, and the keepers had to wean him off them. 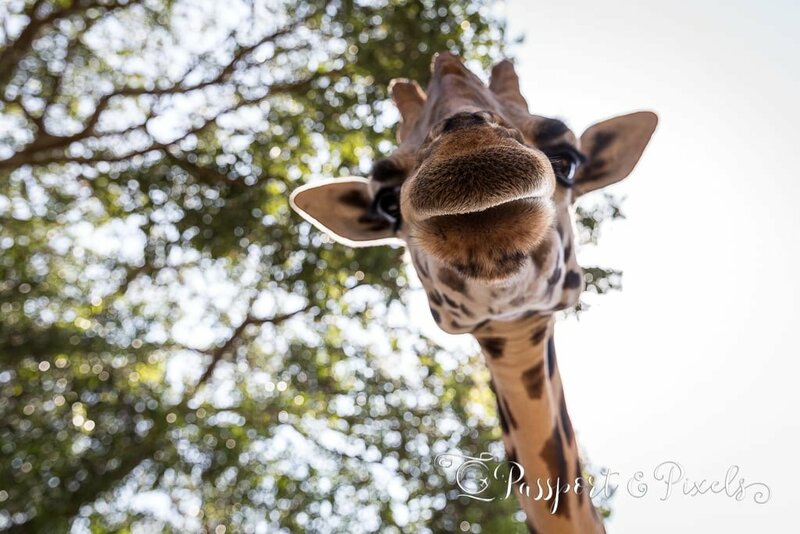 This rather, um, eye-opening pose is his way of getting noticed when the keepers are handing out food! He certainly got my attention! 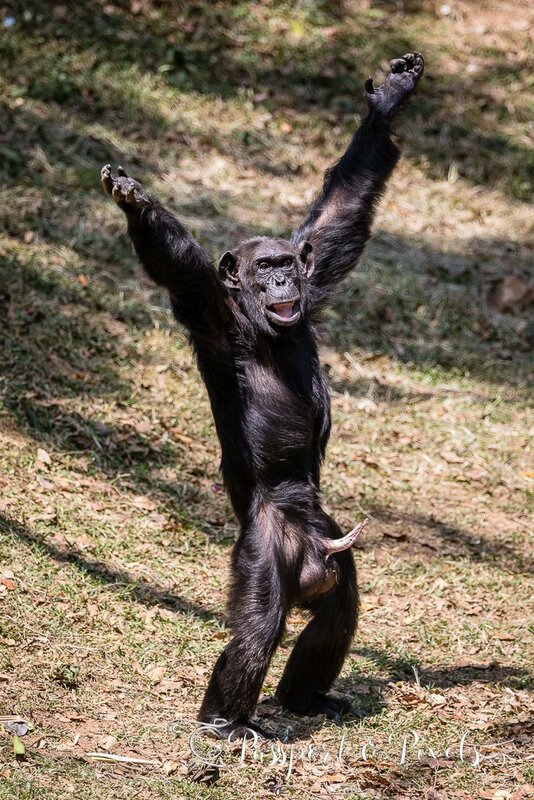 I was also amazed by the behaviour of this chimp, 8-year-old Ndugu. Some of the fruit that Joseph threw over the moat to the waiting crowd sadly fell short and landed in the water. 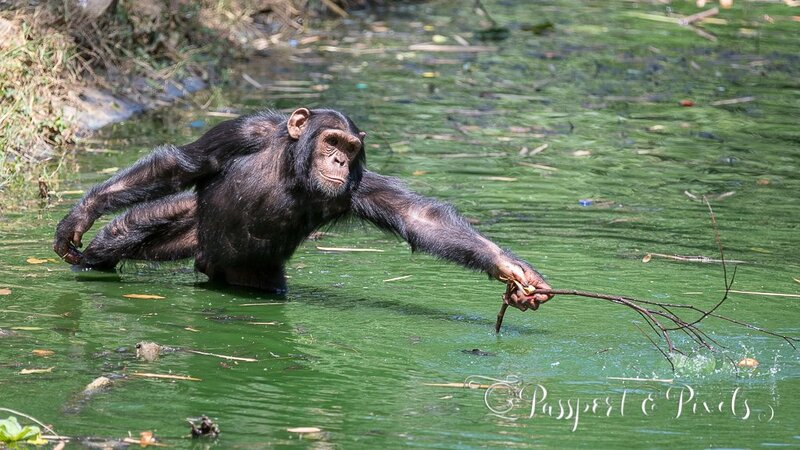 But Ndugu simply grabbed a stick and used it to fish the apple out. Such incredible intelligence! 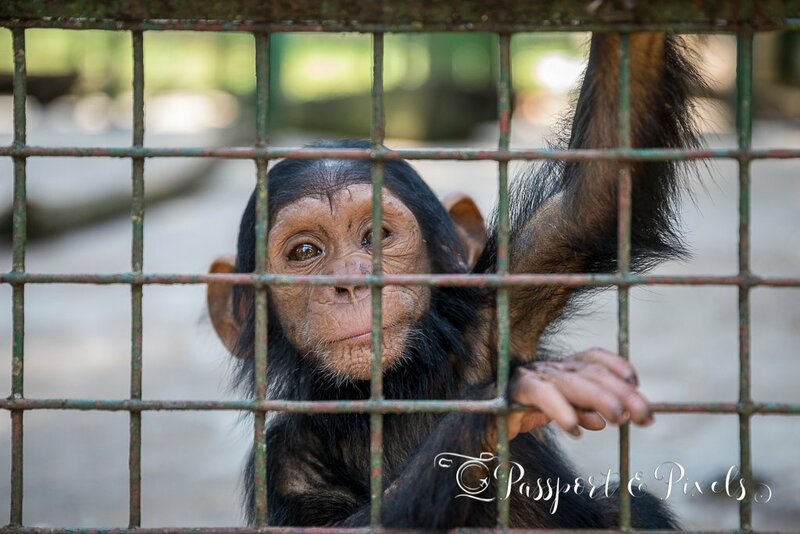 We were also lucky enough to meet this 6 month old baby chimpanzee, who was born here and currently has not name. His mum, 35-year-old Joy, came to the centre after being rescued from a home where she was being kept as a pet, and was not supposed to get pregnant. 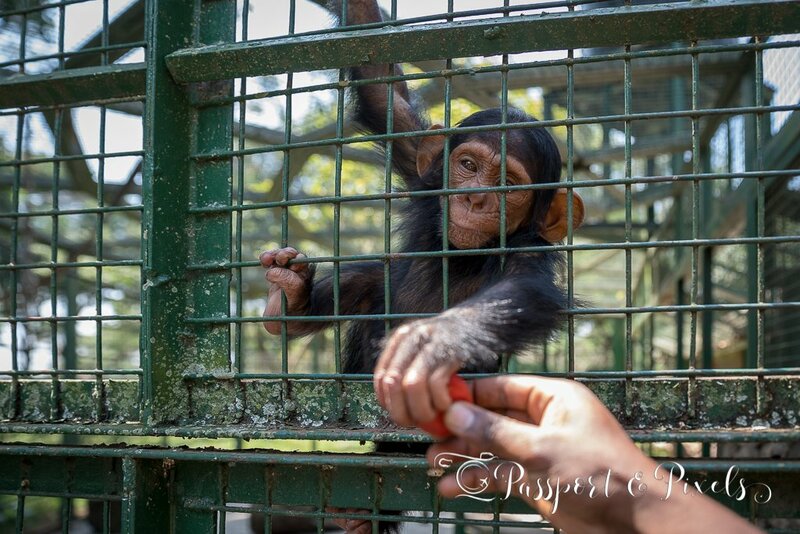 All the chimps in the troupe are given contraceptives to prevent too many babies being born – the centre wouldn’t be able to cope with the numbers. But in the case of Joy, the birth control failed to work. As with the other babies, Joy and her son are currently being kept separate from the other chimps for their own protection. In this case, the alpha female in the group actually kidnapped the little one and wouldn’t give him back to his mother. Unable to feed, he would have died if keepers hadn’t intervened and separated them until he’s older. 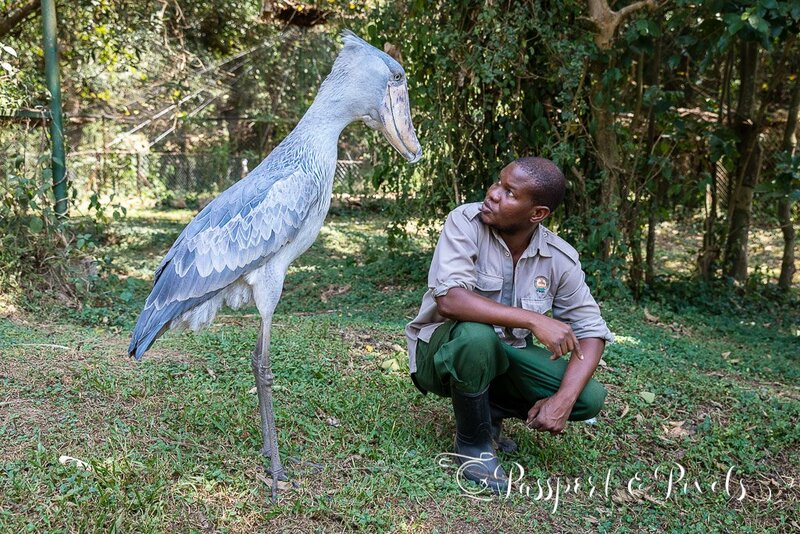 This is Sushi, an endangered shoebill stork who was discovered being kept as a pet by a family in Uganda. He was named Sushi because that’s what he liked to eat when he first arrived at the Centre. 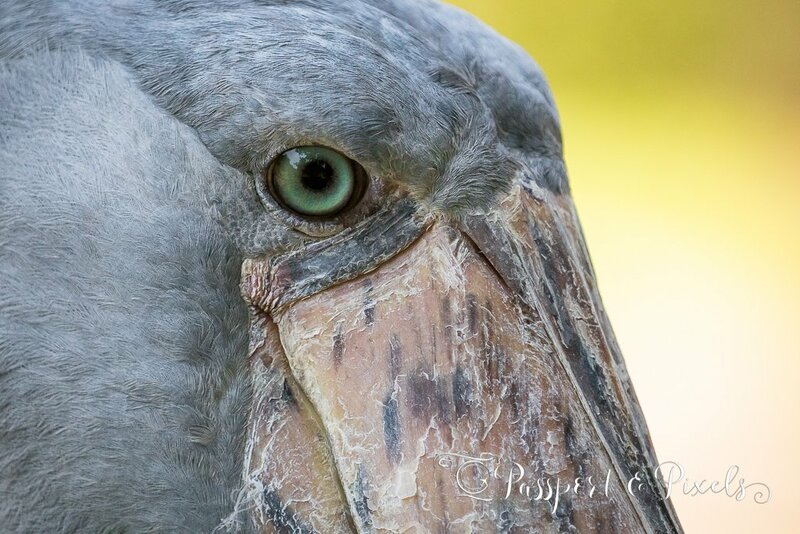 Shoebills really are amazing birds. In the wild they are extremely hard to spot as they are solitary and live in inaccessible marshlands. There are also only around 5,000 – 8,000 left. 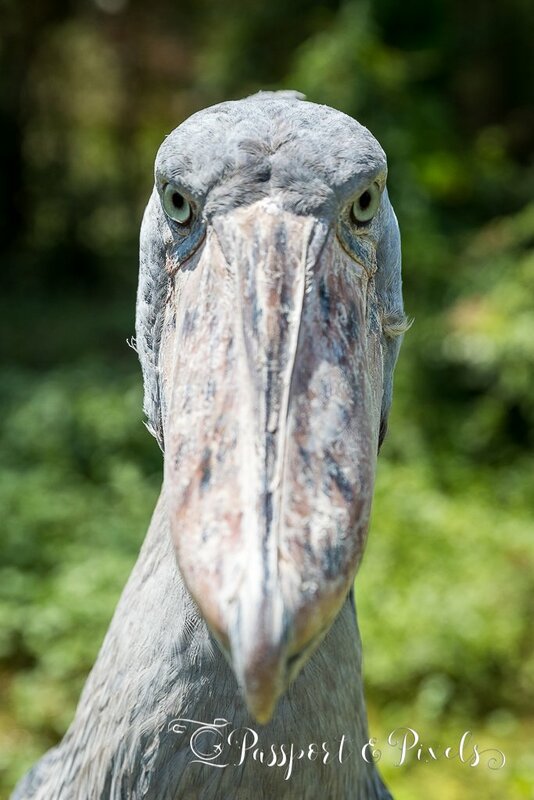 I’d never seen a shoebill before and I thought he was fascinating. He seems almost prehistoric with his knobbly bill and his piercing glare. One look at him and you can really believe that birds are related to dinosaurs. So many animal encounters in the space of just three hours. It really was the most incredible day and I’m so glad I took everyone’s advice and did the tour. I even made a short video, so you can really get a sense of how brilliant it was. Check out the website at https://uwec.ug for opening times and prices. Go to Entebbe. The zoo is very near the airport, so this is even something you could do on your way in or out, depending on the time of your flight. Definitely do the Behind the Scenes tour if you can afford it. I recommend calling ahead and booking in to avoid disappointment. Allow at least three hours for the tour, plus a couple more hours to see the rest of the zoo. Make sure you have enough camera battery and memory! 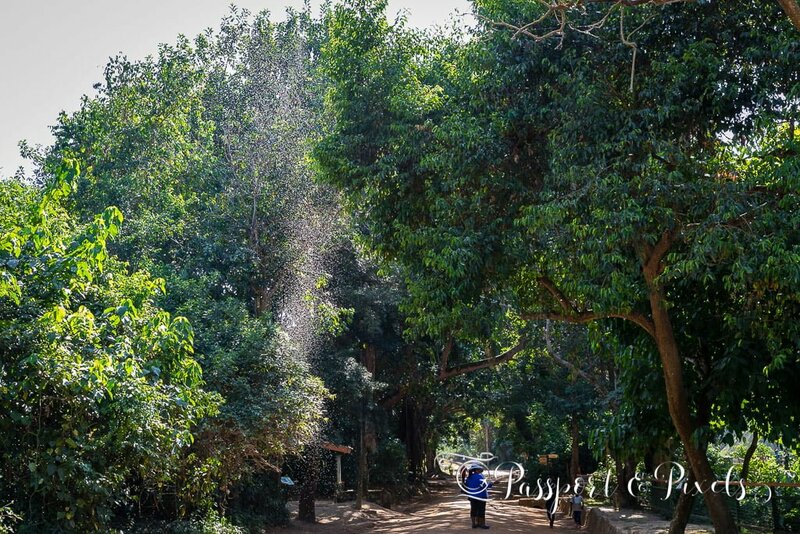 In Entebbe I also visited the Botanical Gardens and the Reptile Park. Check back here soon for the next post. Have you been to UWEC? Thinking of going? I’d love to know your thoughts in the comments below.